Has a family member, friend or business partner ever burned you? Done you wrong? That feeling of betrayal is a hard pill to swallow, especially when it comes from someone close to you. They say that time heals all wounds, but I've had a few wounds that, over time, got worse. The pain and hurt continued to grow. The more time that passed, the more that bitterness grew. At the time, I didn't think much about it. And when those thoughts arose, I just let it go — or at least tried to. But I would find myself wanting to make a business successful just to prove someone else wrong … to show someone that I wasn't what they said I was. I wasn't a failure. And I had worth to my life. Because Forgiveness is a key to freedom and, am ready to be freed. I found myself daydreaming about how to get back at someone, or how to sue them. I wanted to make them feel the same pain that they had caused me! See, when it got down to it, my feelings where hurt and my ego was severely bruised. Had I done things wrong? Sure, but not intentionally. Had I made mistakes? Yes. But who hasn't, right? Ultimately, I rationalized that it wasn't my fault; I was just the victim. An employee embezzled hundreds of thousands of dollars from my business. I paid a roofing contractor for 11 roofs and he only did nine. A pastor embezzled $18,000 dollars of rent. I built a website for a pastor who was running for the U.S. Senate, and he refused to pay his bill. I could write a book about what others have done to me and how it hurt me, my family or my business professionally, personally or financially. But in 2014, I stopped and thought for a minute … what had I done to others? My self-centeredness had produced an inner dialogue and set of reasoning regarding how bad others had treated me or burned me. And I used this mentality to rationalize my own boorish and resistant behavior in response to these wrongdoings that I perceived as personal attacks. Yes, the actions of these other parties hurt me in many ways. I was mired in negative thinking and negative responses that weren't getting me or my businesses anywhere. I needed to break down my actions to identify my faults and learn how to better myself — both for my sake and for the sake of all those around me. In order to achieve solid footing in my life and let go of my pain and bitterness, I was going to have to face my demons. I knew I wouldn't like it. And I knew it wouldn't be easy. The easy thing would be to continue in life being mad and playing the victim. Yes, that would certainly be easy because I was already doing it. The hard thing is taking a good, long look at myself. The hard thing is to learn. The hard thing is to change. So here's the basic principle of my thoughts and rationale … how could I be bitter for what others had done to me when I, too, had also done things to others? I called myself out for being a hypocrite. Yes. I'll say it again. I was a hypocrite. And recognizing that and admitting it to myself gave me one of the great growth opportunities of my life. But that wasn't all. Consider the fact that Jesus, who did NO wrong, gave his life for me! He sacrificed his life for me, while I continued through my daily life hopelessly imperfect. I'm a habitual sinner with a flawed nature. But Jesus loves me, and He forgives me of my sins. Yet, I was holding a grudge for what someone else had done to me? Who was I to hold onto such anger and resentment? So I set out on the path of forgiveness, which eventually led to my own self-forgiveness. It's a powerful thing. Step 1: I made a list of everyone who I had done wrong over the years or who thought I had done them wrong. I didn't just go back three, five or even 10 years. I made a list that went all the way back through high school. 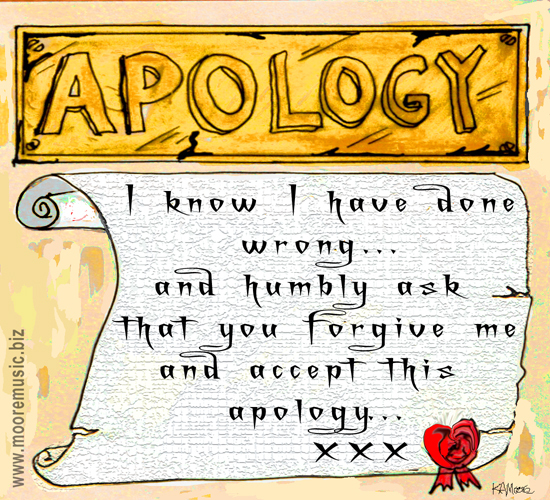 I sent apologetic emails, texts and letters asking for their forgiveness and what I needed to make it right. Some people didn't respond at all while some responded with disbelief: "Have you been hacked?" A few told me both where to go and how to get there. But a fair percentage responded with, "Wow, I didn't see that coming, but how refreshing." With each return contact, I endured a rush of embarrassment and hesitation. I was admitting that I was wrong. I was asking for forgiveness. And I was requesting to have our relationship restored. At the end of the exercise, which took about three months, I was mentally exhausted. But I found that my mind and spirit were renewed and strengthened. Step 2: I returned to that list of everyone who had done me wrong over the years … family, friends, business partners, and everyone else that I could recall. This was hard. I didn't want to remember the pain and humiliation. But I knew I had to address it. I recorded my feelings, and then I started praying for God to remove the bitterness, the anger, and the pain. I started uttering words of prayer. I forgave my employee for embezzling money. What??? Why would I forgive them? Well, God says to forgive others so we can be forgiven AND as I started to forgive them, I could feel the burden and sadness physically lift from my soul and my life. I could feel the anger and bitterness melting away. Step 3: As you can imagine, there are a few instances that I still have to focus on in terms of forgiving someone. Just because you say it once doesn't mean that it sticks! I'm not positive, but I think there are a few things that I will be turning over to God on a regular basis. But that's the solution! That's the difference! Instead of struggling with it myself and being alone with my issues, I've got an all-knowing, all-powerful God in my corner fighting my battles for me now! Let me tell you about Pastor Dennis. He was a property manager who stole more than $18,000 dollars from me in a two-week period. When he collected rent money, he was supposed to deposit it immediately in the company bank account. He did deposit it — right into his own pocket. When confronted, he admitted that he had taken the money to cover some bills he had, though he planned on paying it back. It's now been more than three years since he took the money, and he has paid back only a mere $200. At this point, I've had to forgive him dozens of times. Because every time I think about it, I start to get mad. I start replaying conversations in my head. And I start to think of more things I should have either said or done at the time — out of anger, that is. This is normal human emotion and folly. God tells us to keep forgiving over and over again. As humans, we aren't wired to easily forgive and forget. BUT God is. And we must continually model our behavior after Him. 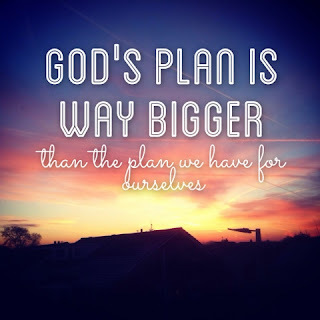 Maybe we'll never get it exactly right in our lifetime, but with each attempt we get closer to God's plan for our life. We'll get closer to full and complete growth as a human being. So, no matter how far you are away from God, don't let thoughts like "I've been too bad" keep you from returning to the right path. Yes, you may have a hard time forgiving others. But God will NEVER have a hard time forgiving you and restoring you! God doesn't care what "bad" you have done, He simply wants you to come to Him.